Accurate Signs makes and installs custom car wraps and store signs for businesses primarily in the Dallas County area. We produce, and install signs and can also develop the graphical design files if needed by the customer. We have been supporting Dallas County and surrounding area businesses for over thirty years. The Accurate Signs Mesquite, TX location makes and installs custom car wraps and promotional signs for businesses primarily in the Dallas, TX area. For over 30 years Accurate Signs has been serving local businesses. Our staff has decades of experience in sign-making, marketing, and advertising. We would be happy to meet and discuss how we can help your business. Doug has spent his career in marketing and business development. 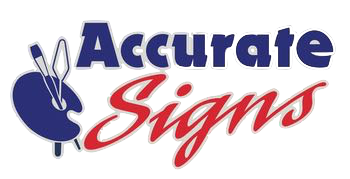 Before joining Accurate Signs he worked as an independent marketing consultant and supported a number of small to medium-sized businesses. Prior to working on his own, he worked at Verizon, BNSF Railway, Sound Warehouse, and Language House. At Verizon, he was responsible for promoting the company’s FiOS TV, internet, and phone services to apartment community executives. At BNSF Railway he was Senior Manager of Strategy where he provided recommendations on whether to improve or sell sections of track. While at Sound Warehouse, a music and video retailer, Doug held various positions including store manager, Assistant Director of Budgets, and HR Supervisor. Language House is a Takamatsu, Japan-based English conversation school where Doug worked as an English instructor for two years. Doug performs improv comedy at the Dallas Comedy House and enjoys playing the guitar. He is married to Anne and has a teenage daughter, Téa. 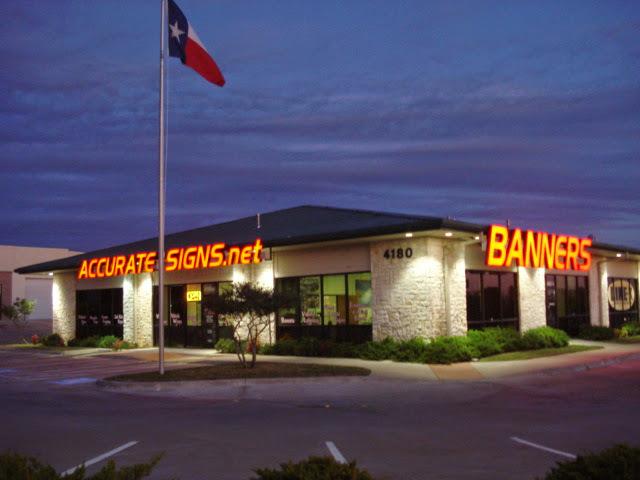 Brent has worked in the sign industry for 15 years and with Accurate Signs for the past 4. He has been responsible for all aspects of production: graphic development, digital sign printing, lamination, installation and anything else needed by our customers. Brent enjoys spending time with his family, wife Brandy, and daughters Rhiannon and Tesla. He plays bass guitar in his band, Ribcage. Aaron is a United States Air Force veteran who was born and raised in Mesquite, Texas. He is a current student at Remington College, studying Computer-Aided Drafting & Design. In 2014, he earned a diploma from Remington’s Medical Assistant program, as well as their EKG & limited scope XRAY program. In 2016, he went back to Remington and earned his Business Administration Associates Degree. When Aaron is not at work or school, you will find him with his two kids, Aaron Jr & Kash. Debbie has done the bookkeeping for Accurate Signs for the last 24 years and has also supported the business by staying active with the local community in Mesquite. Frank and Debbie met at a sign painters class at Eastfield College. Debbie enjoys working in her garden and has 2 children, 3 step-children, and 3 grandchildren. Frank started making signs when he was working in Piggly Wiggly store management over 30 years ago and soon went out on his own as an independent sign maker. He built a well-respected business that has worked with businesses in Mesquite, Dallas, and surrounding areas for over three decades. He is a long-time member of the Mesquite Rotary Club where he has supported their annual bike event that supports local charities. Frank is an avid cyclist and very good amateur billiards player who competes in local events each year. Frank has 3 children, 2 step-children, and 3 grandchildren. Frank, the founder of Accurate Signs, is a long time member of the Mesquite Rotary Club. He has been very involved with the club especially with their signature fundraising event, The Mesquite Rotary Bike Ride. Frank has lived in the East Dallas area since returning from military service in the 70s. He has been a member of the Mesquite Chamber of Commerce. DFW Interactive Marketing Association, DFW SEM Association, DFW Social Media Marketing, East Dallas Chamber of Commerce and is currently a member of the 100 Men of East Dallas. We provide high-quality sign services for your business store signs, vehicles, and promotional needs.